Description: New genuine Acer tablet battery. 2 Cell, 3.8V, 5910mAh, 22Wh. Compatible Part #'s: AP14A8M, (1ICP4/58/102-2), KT.0020G.004, KT..00204.002. 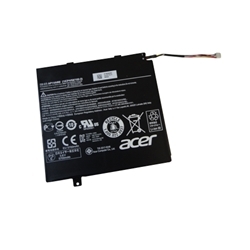 Acer Aspire Switch 10 SW5-011, SW5-012, SW5-015. Acer Iconia Tab A3-A20, A3-A20FHD, A3-A30.